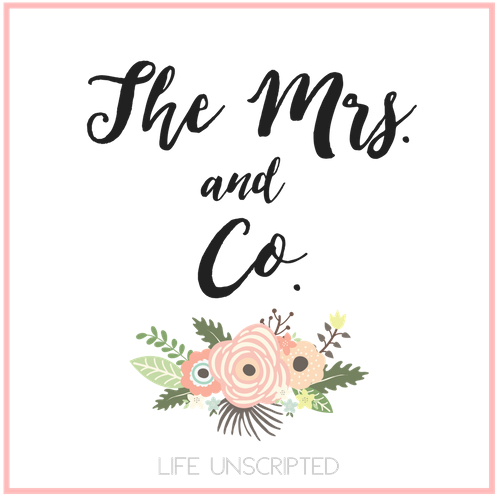 Gender Reveal Party - The Mrs. & Co. 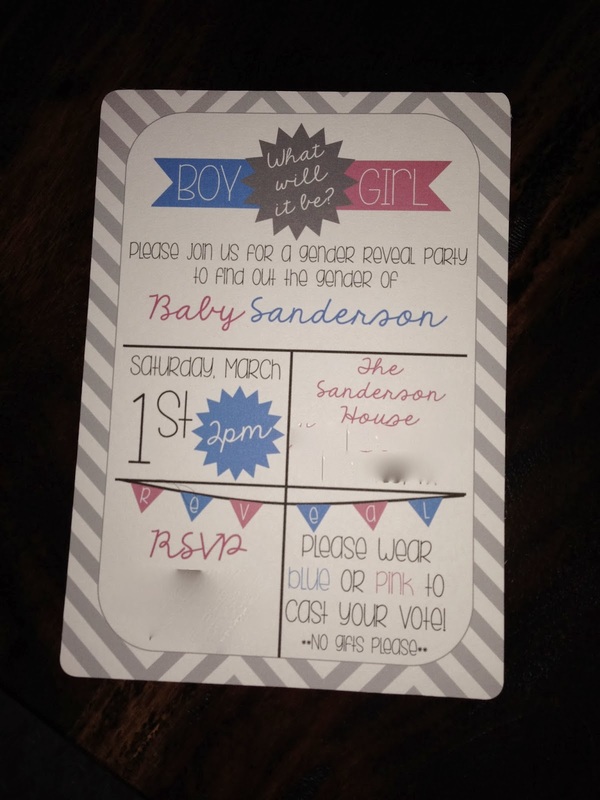 If you've been following my blog for awhile, you know that I am SUPER DUPER excited about the gender reveal party! I have started collecting things for the party and planning everything down to the last detail! Here is a sneak peak at some things I have finished working on. First off, the invitation! I made this ALL by myself, printed, and cut them to look all professionally done! I am quite proud of myself. 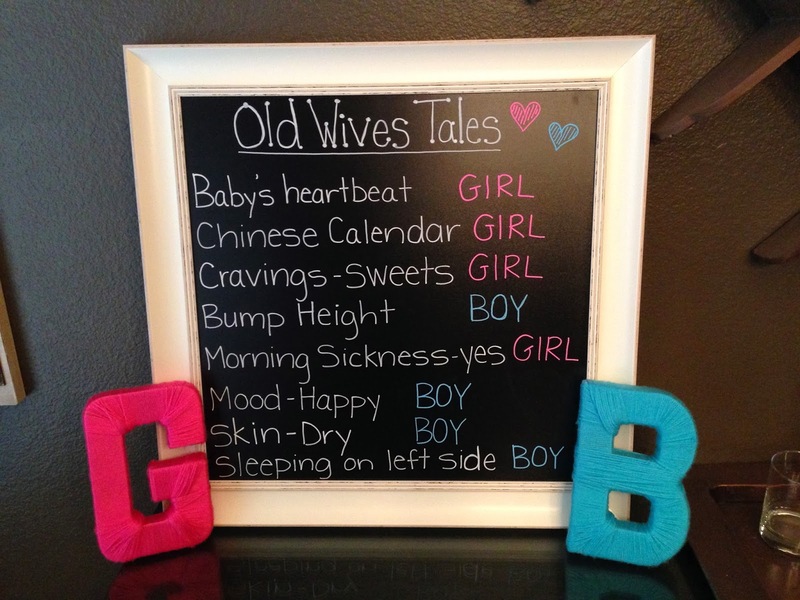 And then I've been working on my old wives tales board for everyone to read over before making an "educated" guess as to what baby is! I also made these yarn letters that took me for FREAKING ever! I bought cardboard letters from Hobby Lobby then just wrapped them in yarn. Sounds easy, but VERY time consuming! This will be fun for sure! At least I hope you think so! I did a yarn wreath a few years ago, thinking that it would take me an episode or two of Grey's Anatomy- HA! So simple, yet so time consuming (yet so much cheaper to do it on your own)! Dang. And now I just got the urge to make one for spring. I made a yarn wreath and while it did take some time I enjoyed it totally! I tried to do the letters but could not get the hang of it, is it just a matter of many layers? The curves would not cooperate! LOVE!!! You are planning all of my future parties :) Can't wait to find out! Wow! You definitely have good craft skills. Cant wait to find out what you are having.